Progressives should be deeply skeptical that these moves have anything to do with their stated objective of promoting democracy. Bloomberg Businessweek (9/29/17) reported that the far-right Alternative fur Deutschland (AfD) party went to Facebook headquarters for discussions with US companies about how it could use the platform for recruitment and micro-targeting in the 2017 elections. AfD tripled its previous vote share, becoming the third-largest party in Germany, the far right’s best showing since World War II.Soon after it partnered with the Atlantic Council, Facebook moved to delete accounts and pages connected with Iranian broadcasting channels (CNBC, 8/23/18), while The Intercept(12/30/17) reported that in 2017 the social media platform met with Israeli government officials to discuss which Palestinian voices it should censor. Ninety-five percent of Israeli government requests for deletion were granted. 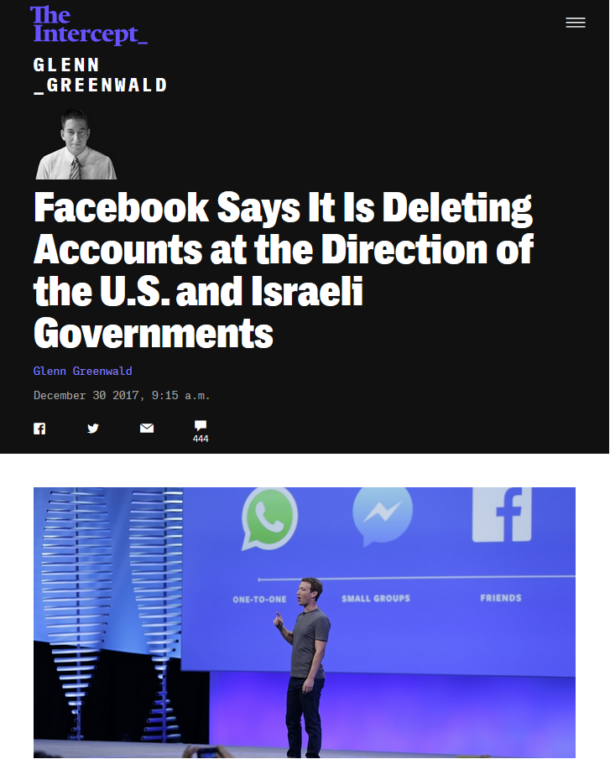 Thus the US government and its allies are effectively using the platform to silence dissenting opinion, both at home and on the world stage, controlling what Facebook‘s 2 billion users see and do not see. I wonder if facebook was birthed by the CIA. It has the potential to be one of the new world order’s most effective weapons in it’s fight against actual democracy. I don’t think so, but the CIA has long controlled reporting at the flagship newspapers like NYT and Post, on foreign policy issues; no doubt this is also true of the major broadcasting networks. Alternative media was becoming a problem as more people were seeking out the samizdat. So this is the response–people who own enormous, incredibly lucrative media venues are not the sort to say “No, that wouldn’t be democratic–I insist on free and open debate and won’t censor anyone.” Can an alternative to FB arise, and NOT be bent by the Machine? That’s actually an old word, from Soviet days–underground publications, as opposed to Pravda (which means “truth” in Russian). 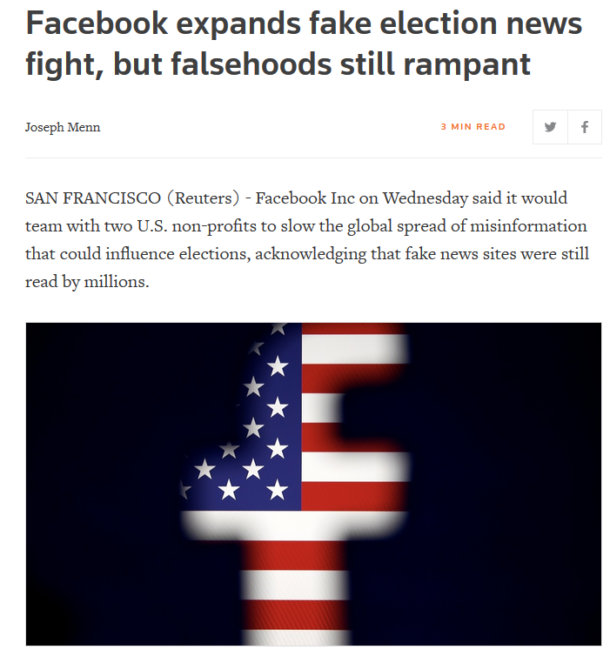 In this case the publications we seek out are not actually illegal–they can better suppress them by just changing algorithms and making them harder to find, harder to access, hence the push to marginalize “fake news” and shoot down net neutrality. Making things illegal tends to increase their popularity.